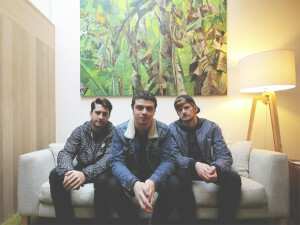 Not that it’s an embarrassment to the boys – not at all – but because it’s an incredible electronic pop song that the Melbourne three piece have described as a perfect representation of “the sound we are aiming to create as Kings”. As such, they should be shouting about it to all and sundry. Citing the likes of Tame Impala, Years & Years and Daniel Johns as inspiration, you might hear a little of them all in ‘Whispers’, which mixes a dizzyingly addictive electro-pop soundtrack with the sweet, emotive vocal, courtesy of Hayden Jeffrey. Given this is only their second ever outing as Kings., (yes, the dot’s on purpose) and given the band’s name, their ascendancy to the Aussie pop throne shouldn’t take too long. Filed Under: New Releases Featuring: Kings.